After 30 years of landscaping, we are the local experts you can trust. Our Mission at Lehigh Landscaping is to deliver quality, responsive service with dignity and pride. From design to maintenance our goal is to surpass our client’s expectations. Our experienced landscape teams are very dedicated to making your yard or garden into a showplace to be proud of. Whether you are looking for peaceful water gardens, rock gardens, walkways or lawn installations, we can help! We offer specialized plantings, mulch beds, irrigation systems, walls, walkways, and patio installations. Our aquascape designs include relaxing ponds & waterfalls features. We can design them to the size and specifications of your needs. We can also help with aquatic plants for your pond. We offer both computerized landscape design and master plans drawn by experienced designers. The story of Lehigh Lawns and Landscaping, Inc. is very much my story, and the company’s development over the years has been intertwined with my own life. I started out mowing lawns in my neighborhood in Wappingers Falls, when I was just a young man, but right from the beginning I was drawn to this business, its connection to the earth and its cycles of rebirth and growth. Over many years of hard work with other professional landscapers, I continued my education in both the classroom and the field. As my experience and expertise grew, I made the decision to launch Lehigh Lawns and Landscaping in 1987 in Wappingers Falls, and I’ve never looked back. I founded this company with a simple mission statement: Dedication to excellence in customer service and a commitment to staying abreast of the latest developments in the field would always be our top priorities. Our growth over the past 30 years in Poughkeepsie and has validated the soundness of that mission statement many times over. My crews are trained in the same areas in which I specialize, including lawn care applications, landscape design and installation, tree service and plant health care, holiday lighting and snow management. We are always up to date with the latest trends and emerging technologies in the landscaping industry. 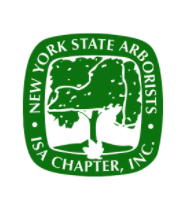 Among my professional and trade affiliations are membership in the New York State TurfGrass Association (www.nysta.org), PLANET (formed by the 2005 merger of the Associated Landscape Contractors of America and the Professional Lawn Care Contractors of America, www.landcarenetwork.org) and the New York State Nursery & Landscape Association (www.nysnla.com). I am also a member of PROSULT, a peer-to-peer networking organization of professional contractors that facilitates information and idea sharing among business owners from diverse geographic locations. 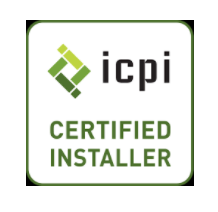 I am a Certified Pesticide Applicator/Technician, registered with the NYS Department of Environmental Conservation, a Certified Arborist with the International Society of Arboriculture, and an authorized Unilock installer. I have won a number of community awards for landscape design and construction and for my creative use of materials. At Lehigh, we work hard and utilize environmentally-sound practices to enlarge the usable area of your property and increase its aesthetic and financial value—always taking pains to preserve the beauty that nature put there in the first place. We invite you to see why so many satisfied clients continue to recommend us. Take advantage of our technical expertise and knowledge – call today. We work with you to achieve results that satisfy your goals and lifestyle needs without sacrificing your dreams. We maintain your lawn and landscape to sustain its beauty. We work with you to develop a seasonal planting schedule to insure color throughout the growing seasons and keep your landscape lush. With each project we seek a green result and a lightened footprint on the land. Creatively inspired landscape design, installation and maintenance for commercial and residential clients located throughout upstate New York, Connecticut and New Jersey. Lehigh Lawns & Landscaping is family owned and operated, licensed & insured. We are proud to service commercial and residential properties throughout Upstate New York and surrounding areas. What People Are Saying About Lehigh…. "…Our thanks to Amy and the very hard working crew whose efforts changed our overgrown, unmanageable landscaping into what we envisioned. …" – Mr. & Mrs. Gammone, Hopewell Jct. "…It is a Pleasure to work with a professional who delivers what he says he will do…" – Corinne R.
"…I would like to tell you how much I appreciate you helping me. I know that my driveway is not the easiest to plow but at least you helped me a lot to allow me to use my blower to bring in the finishing touch…"
Would you like to leave us a testimonial or review? At Lehigh, we love to hear about how their experience was directly from our customers. Jump on over to the page below and tell us what you think!